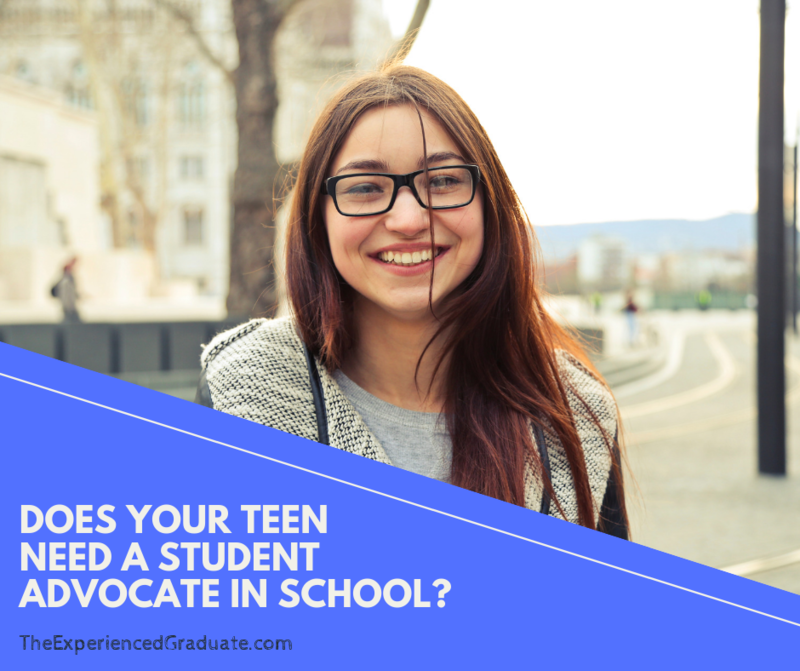 Does your teen or preteen currently have a student advocate in school? What about you? Do you currently have a parent advocate that is working with you to help you with your teen? If not, a student advocate may be just what you need! When you go to your child’s teacher to seek advise on how to help your teen in school, the teacher will likely give advise on what is in the teachers best interest, NOT what is in the students best interest. For example, if you ask the child’s teacher what you can do to help your teen, they may respond that you should get a tutor for your child. Most families cannot afford thousands of dollars $$$$ on a private tutor for their teens. Even if they wanted to get a tutor for their child, they may not be able to afford a tutor for an extended period of time. Isn’t the teacher supposed to teach the student, not the tutor?? Even though more can be done to help your child, your family is given advise by the teacher that is not what’s best for YOUR family! P.S. - I am a high school tutor, so I know that tutoring works. BUT, tutoring should not be your first choice. It should be your last resort, because there are other options you can choose first. What about a difficult teacher? What do you do when your teen is faced with a difficult teacher? You know the kind! The kind that gives your kid a dirty look for asking for extra credit. Or the kind that won’t ever let your kid turn in homework late for partial credit. Now, most teachers can be really great. BUT, not every teacher is. I totally understand! Your child is struggling and WANTS to do better! But even after asking the teacher for help, the only response your kid gets is: “try harder”. . . . Not really the kind of help you want. For those who can relate, here’s what I wrote about dealing with a difficult teacher. (It might help in your situation). This is why it can be SO important to have a student advocate on your side! A lot of teachers don’t like me because I speak the truth, even when it hurts. I AM a student advocate! I am NOT a teacher advocate. Teachers may not like being called out for being wrong, but I’m ok with that. You see, I am not here to serve the teachers. I am ONLY here to serve YOU and YOUR child! I am a student advocate, and a parent advocate, and I stand up against schools in order to speak on behalf of your child. Does your child currently have a student advocate on their side? Do they have someone working on their behalf to help them do better in school? If not, how will you know when the advise you receive is not in your families best interest? Find someone who can help you navigate the school system on behalf of your child. If your child is struggling in school, and you need to seek help and advise, find someone who is on your side, helping you along the way!